Daniel Burwasser, a composer, percussionist and teacher, was born in New Brunswick, New Jersey. Burwasser grew up in a musical family. He began piano lessons at age five, and at eleven, he turned his interests to percussion instruments, which he began studying both in school and privately. Burwasser shifted his focus from performance to composition while working on his Bachelor of Music in percussion performance at Temple University. After graduating from Temple University, he went on to receive a Master of Arts degree in theory and composition from Rutgers University, where he studied with Charles Wuorinen, Robert Moevs, and Noel DaCosta . Burwasser went on to complete his Ph.D. in composition from the Graduate School of the City University of New York where he studied with David Olan and David Del Tredici. Burwasser has taught at Columbia Teacher¿s College, New York City College of Technology, Queens College, and currently at Hunter College. He is Director of Instrumental Music at Talent Unlimited High School of the Performing Arts in New York City. Burwasser is also Principal Conductor of the New York All-City High School Jazz Ensemble. He has also served as a panelist for the New Jersey State Council on the Arts, the Maryland State Arts Council, and the Delaware Division of the Arts. Burwasser's compositions have been performed throughout the U.S., as well as in South Korea, Armenia, Slovakia, and Russia and combines classical traditions with jazzy harmonies and lively rhythms. He has composed numerous soundtracks for children's stories and arranged for television. 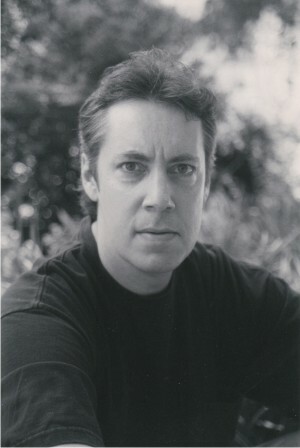 Burwasser has been the recipient of numerous ASCAP composer awards in addition to grants from The American Music Center and Meet the Composer. His orchestral music has been performed and recorded by the Slovak Radio Symphony Orchestra, the Concordia Orchestra, and the Seattle Symphony. He has received commissions from Downtown Music Productions and electric violist, Martha Mooke. His work FLUX for string orchestra has been newly released on Navona Records on a CD called Dimensions. Burwasser's music is published by Imagine Music and Ensemble Publications.